Catching my eye as I glanced in the rear view mirror, I began directing the song towards myself. As I did this, tears started pouring down my face, uncontrollably. The realisation hit me, that though I thought I had learnt to value and love myself years earlier, I had merely been paying lip service to it. I saw that the recent health challenges and personal insights had caused a deep shift inside me, allowing unconditional self-love to quietly take root. 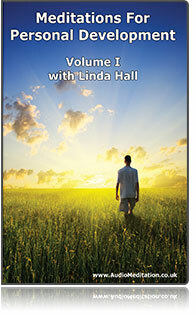 My journey to wellness was leading towards wholeness. In that moment, I made a commitment to never abandon Me again – to always be there for myself, no matter what. From that day on, I’ve been better able to hold my own hand and feel compassion for myself and others. There are different ways in which we abandon our sense of self. Fear makes us leave our body because it no longer feels a safe place to be. Hopelessness surrenders our personal power. Self-criticism squashes our ability to feel comfortable in our own skin. Low self-esteem eats away at us, leaving sadness and anger where a healthy sense of worth might otherwise flourish. Suppression or denial of our emotions stifles our natural birthright of expression, allowing feelings to fester and manifest later in some form of distress or disease. Ignoring our own values and ethics separates us from the essence of who we are, and what makes us individuals. Not to explore our deepest desires and dreams creates a life lacking commitment and passion. To follow the drum of the perfectionist or over-achiever makes it harder to recognise and honour our own needs and limitations. Ideally, we learn a healthy sense of self-worth and good boundaries from our parents when we are young. But the world is far from ideal and parenting not an exact science. All of us could benefit from learning to re-parent ourselves in some way or other. To carry a good parent within us is to have a reliable friend, mentor and companion for life. Practising self-compassion and mindfulness can help us develop this ability. Mindfulness involves observing without attachment: simply noticing things from a neutral place, just as they are – without trying to change anything or wishing them different. This presents us with clearer choices. Compassion entails engaging heart energy so as to be touched by the human condition. A marriage of heart and mind. Both share the same symbol in ancient Chinese calligraphy, for when the heart is open the mind sees clearly, and when the mind sees clearly the heart is open. Meditations for Personal Development Volume 1 A compilation 3 CD set using meditation, relaxation and visualisation techniques to help you build personal development skills. Supportive, affirming and life-enhancing.